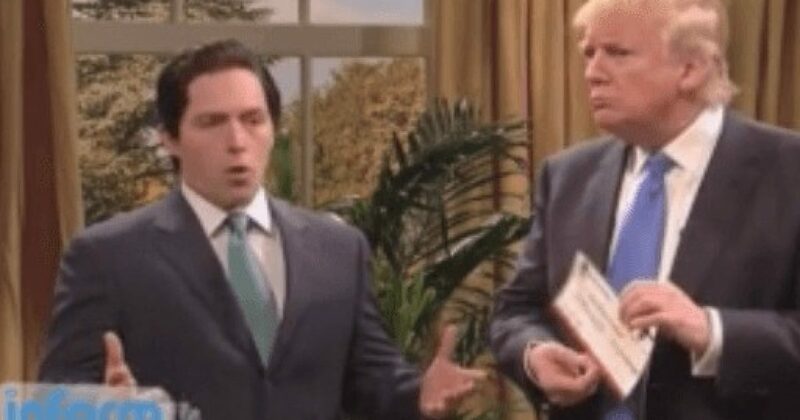 According to most of the reports I read, Donald Trump was a SNL flop. I doubt Trump would describe it that way. For Trump, all news is good news, as he continues to dominate the media cycle, even as the Leftist hit job on Ben Carson is underway. That’s actually good news for Carson. As part of the Trump-mania, which in this case was bad, a group called DeportRacism.com offered $5,000—in cash—to anyone on set or in the audience who would disrupt Trump in his hosting role. You have to wonder who’s funding this racist group. Leftist comedian Larry David, partner of Seinfeld, obliged. People weren’t sure if he was serious, but he deadpanned later that he just wanted to get the $5,000. Talk about perpetuating the stereotype of Jews! Isn’t that racist? As in the debates, I think too much is expected of Trump to carry the load. Trump is great at being Trump, and honestly, he’s a one-trick pony. That’s not necessarily bad, when America has had to deal with a no-trick monkey, like Obama. As for the SNL writers, who would expect these people to write positive things about Trump? Regardless, SNL likely had their best ratings, since when Charles Barkley hosted back in 2012. The fact is SNL has become mostly irrelevant, and wouldn’t even compete with good YouTube channels.